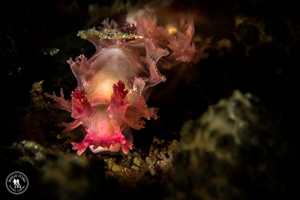 We are very fortunate to have incredible diving right here on our doorstep in Gordon’s Bay. Diving along the eastern side of False Bay (Gordon’s Bay to Rooi Els) is best between September and May, when the prevailing south easterly winds flatten the sea and bring us clearer water. 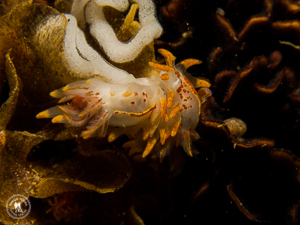 The rest of the year we offer dives in Simon’s Town on the western side of False Bay. 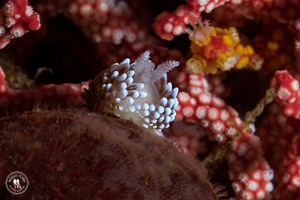 With our fully equipped 8 metre dive boats and experienced dive guides who have been exploring our local reefs since 1999, you can be assured that at Indigo Scuba you will have the best Cape Town scuba diving experience ever! 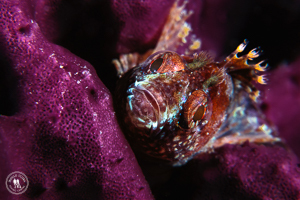 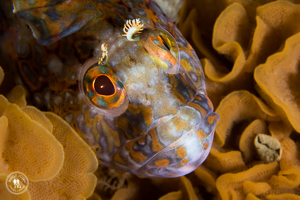 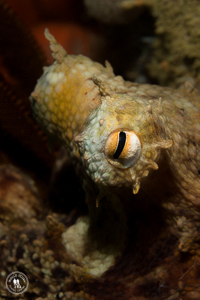 We are also photographer friendly and have our very own professional underwater photographer in-house who can accompany photographers looking for a dedicated underwater photography dive buddy. 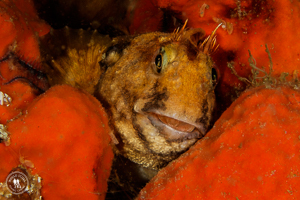 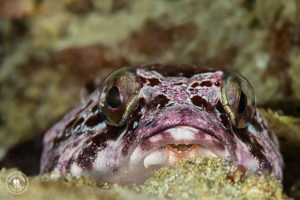 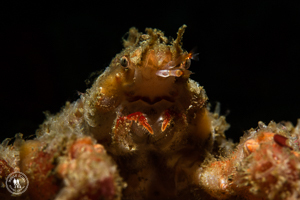 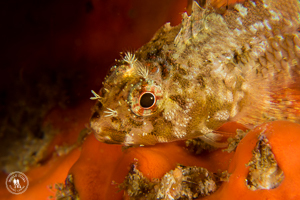 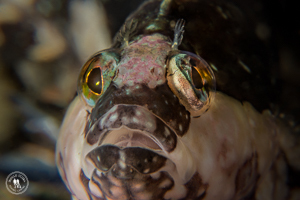 Contact us today to book your dives in Gordon’s Bay! 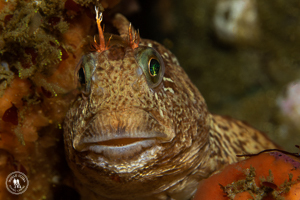 This dive site is reached by launching from Gordon’s Bay and following the beautiful coastline towards Rooi Els. 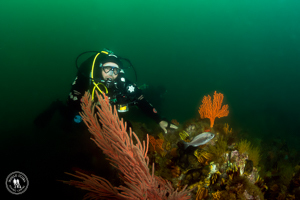 This is our largest kelp forest dive and you can dive here many times without diving the same spot twice. 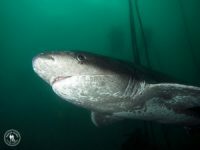 What to look out for: Kelp forests are popular with sevengill cow sharks and we have found them here on a number of occasions. 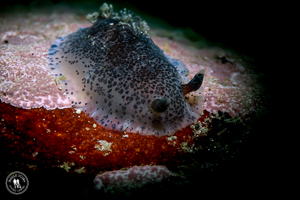 Seals, short tail stingrays, galjoen, red roman, janbruin, hottentot, fransmadam, klipfish, rock suckers and twotone fingerfin are plentiful. 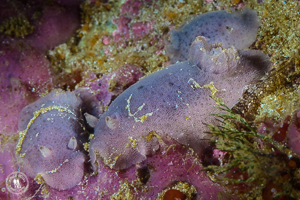 There are also many pyjama and puffadder shysharks. 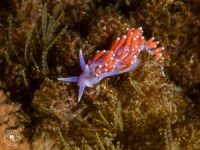 Lots of nudibranchs and dorids – scribbled, orange, variable and blue spotted dorids are very common here, as are gasflame, inkspot, silvertip, crowned, black, ghost nudibranchs as well as many more! 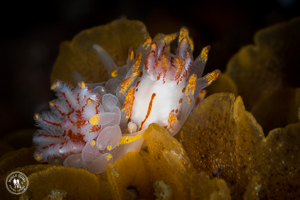 If you look carefully you will spot dwarf sea hares and lots of interesting macro life. 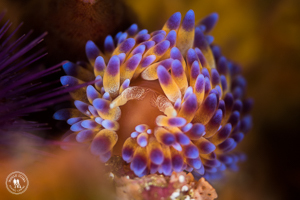 A beautiful site with so much to see and really worth a visit! 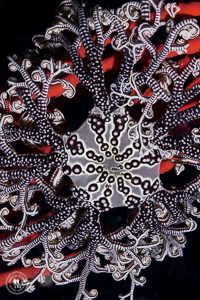 This dive site is named after the large amount of noble coral found on this reef. 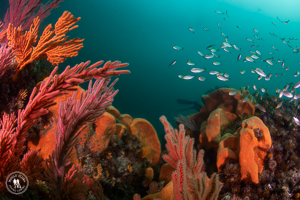 The reef comprises reef and gullies, with sheer walls reaching to the sand at the edge of the seaward side of the reef. 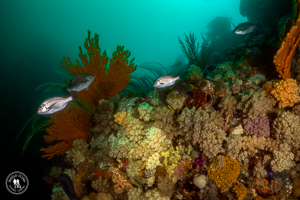 Closer to the shore at depths of 19m, the reef becomes flatter and the gives way to lower profile reef, large round boulders and gravel. 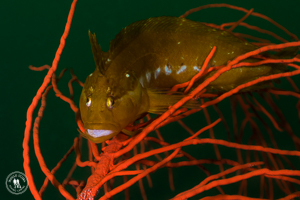 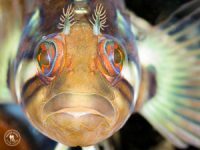 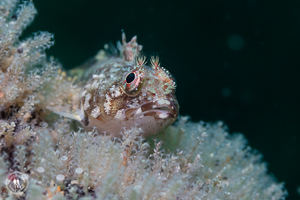 What to look out for: Noble coral on all the pinnacles, lots of sea fans, basket stars, white sea catfish, koester, red roman, doublesash butterfly fish, many different types of klipfish and gobies. 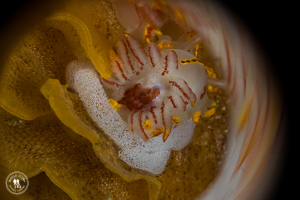 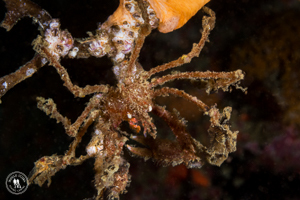 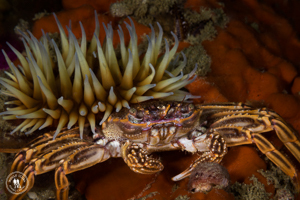 Sea spiders have also been spotted here and there are many different types of nudibranchs, including gasflame, silverip, black, orange clubbed, orange and red-spotted dorids as well as candy, orange-eyed and purple ladies can be found in the plant life on the tops of the pinnacles. 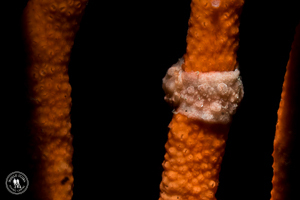 Lacy false coral is quite plentiful here, as are basket stars on the sea fans. 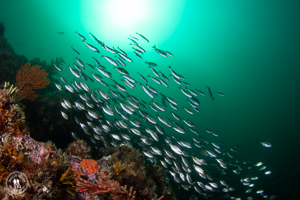 This dive site is reached by launching from Gordon’s Bay and heading out past Strand. 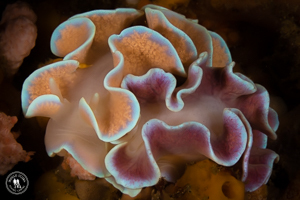 It is a huge oval shaped reef that starts at 15m and slopes gently outwards to about 26m. 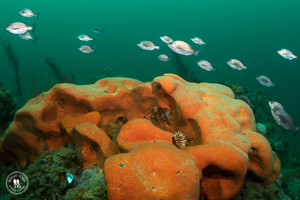 Rather than having huge pinnacles, the reef has ridges, gullies and round craters that almost look as if bombs have been dropped there. 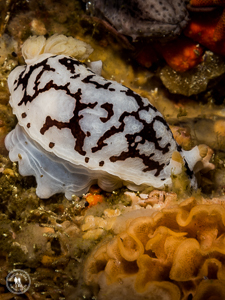 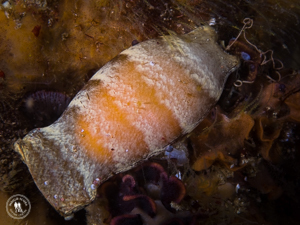 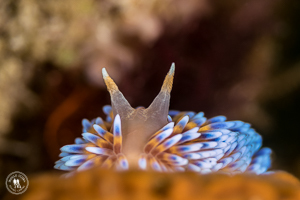 It is thought that the reef is comprised of Malmesbury stone which is even older than Table Mountain :D.
What to look out for: Lots of nudibranchs and dorids – scribbled, variable, purple ladies, gasflame, chocolate chip, spiky, blue dorids, inkspot – you name it, you are likely to find it here! 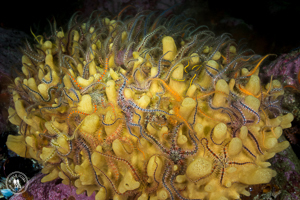 Lots and lots of sea fans (forests of them! 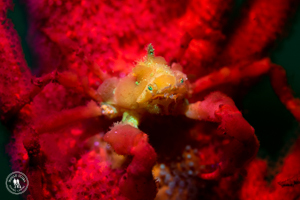 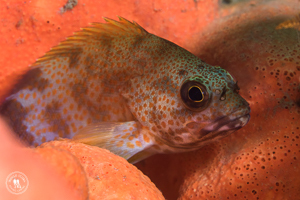 ), schools of smaller fish such as hottentot, zebra and kolstert, shyshark, leopard catshark, pleated toad fish, bull rays, beautifully coloured klipfish, octopus, cuttlefish, hotlips spider crabs. 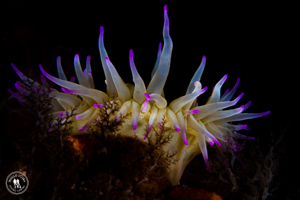 A truly fantastic site with so much to see and really worth a visit! 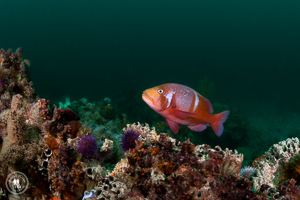 Named after the resort on the cliffs above this dive site, this dive site comprises sandstone ridges and gullies running parallel to the shore. 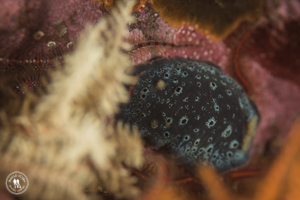 Further away from the shore, the bottom becomes flatter with large round boulders. 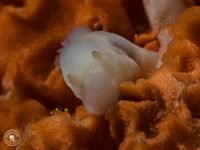 What to look out for: Lots of klipfish, shyshark, rock suckers, red roman, galjoen, kolstert, sea fans, soft corals, sponges, lots and lots of different types of nudibranchs, seals. 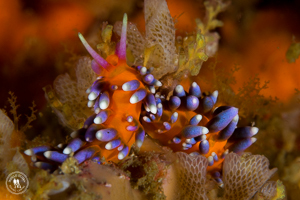 A colourful dive site. 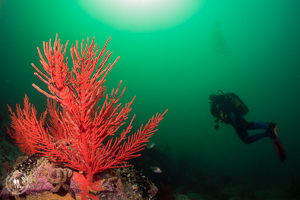 This is a fantastic year-round dive site, especially when the sea is flat. 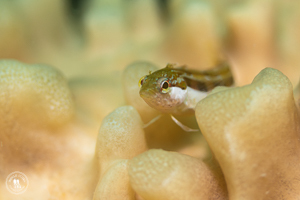 Due to its distance from Harbour Island, it is not dived often and is a pristine reef. 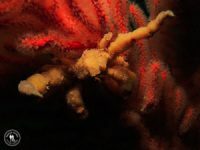 This is a huge reef system and we have two main drops, each 1km apart from each other. 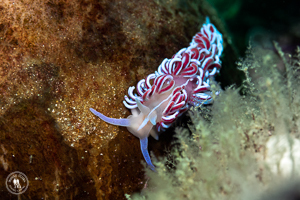 What to look out for: This is an extraordinary dive site with something new and exciting to see around every corner. 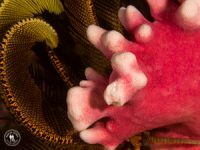 Huge sea fans, soft corals, noble coral, enormous orange wall sponges, gas flame, black, frilled nudibranchs and rare nudibranchs such as purple lady and white edged nudibranchs not often seen; rare blue sock anemone, fish such as Red Roman, Hottentot, Twotone Fingerfin, White Sea Catfish, Horsefish, Pyjama Shark, Puffadder Shyshark, Leopard Catshark. 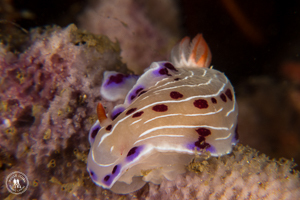 So much to see, this is a must-do dive for everyone! 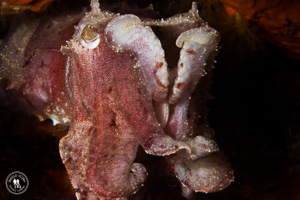 Because of this depth, we often get fantastic visibility at this dive site. 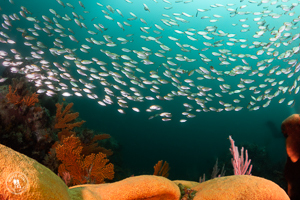 A beautiful dive site consisting of rows of marine-encrusted reefs running parallel to the shoreline. 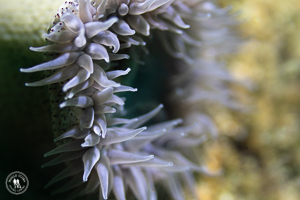 Sandy gullies in between the reef. 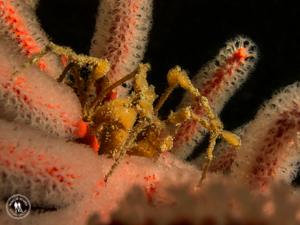 So much to see and plenty to keep you busy for the entire dive time (approx. 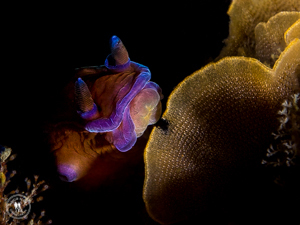 50 minutes). 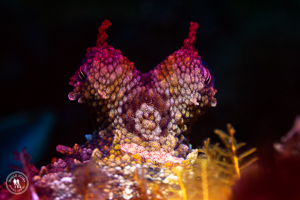 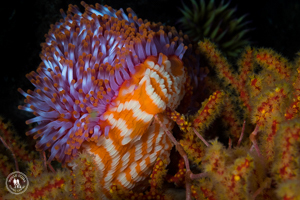 What to look out for: Colourful soft corals, flagellar, palmate and sinuous sea fans. 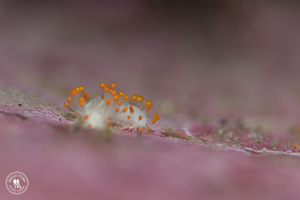 Orange and grey wall sponges. 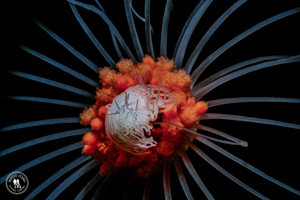 Tubular Hydroids, colourful sea urchins and sea anemones. 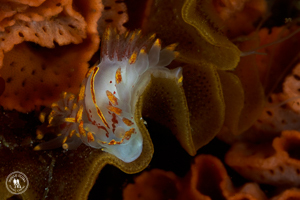 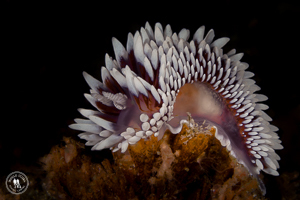 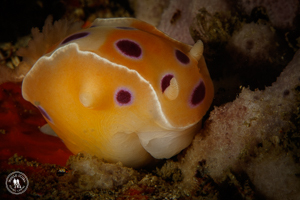 Nudibranchs galore – including huge gasflame nudis, coral nudibranchs, medallian silvertip nudibranchs, black nudibranchs. 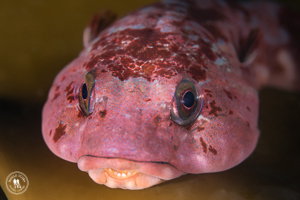 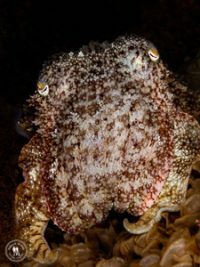 Lots of puffadder shyshark, many playful seals, huge red roman, hottentot, twotone fingerfin, red fingers, cuttlefish – a stunning dive site and one of our favourites. 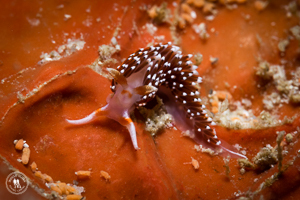 Due to its relative shallow-ness, it’s great for divers of all levels. 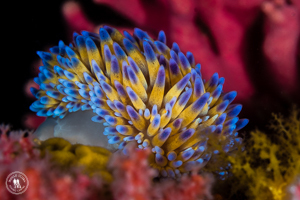 This dive site is extremely colourful. 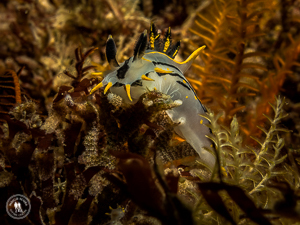 Starting off at a pinnacle which is often exposed at low tide, we make our way along the coastline. 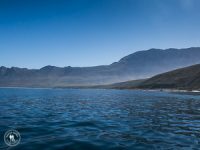 Topography is rock outrcoppings and boulders, gently sloping down to a sandy sea bed at about 16 metres. 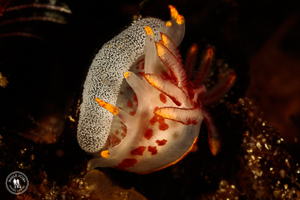 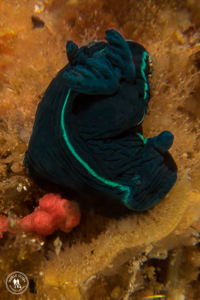 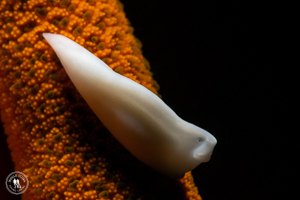 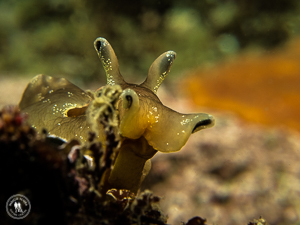 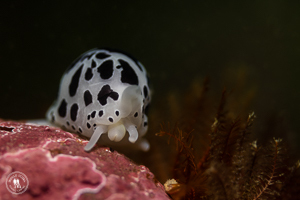 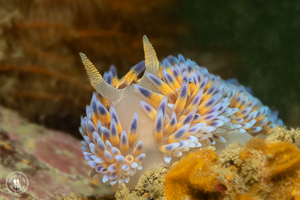 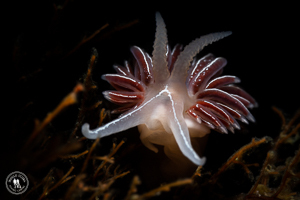 What to look out for: Nudibranchs! 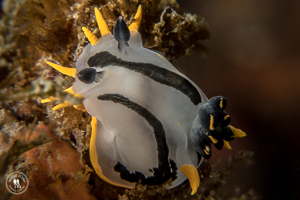 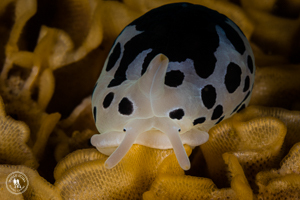 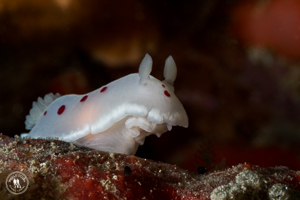 This is a great dive site to spot a huge variety of nudibranchs – from orange scribbled nudibranchs, gasflame, silvertip, cape dorid, inkspot, chocolate chip, coral, candy nudibranchs. 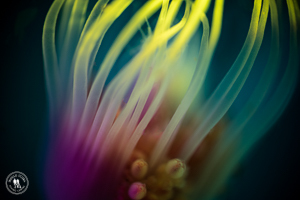 Beautiful sea fans, orange wall sponges, anemones in colour combinations that you can’t imagine. 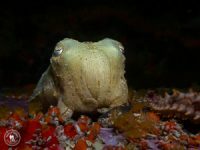 Cuttlefish, seals, huge octopus and puffadder shyshark. This is a nice, relaxing dive which gets its name from the two largest parts of this reef which, when viewed from the road, look like a mother (cow) whale and her calf. 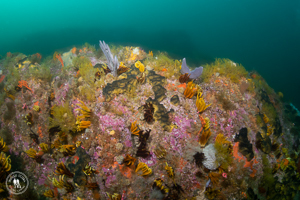 The site consists of a small-ish reef surrounded by boulders. 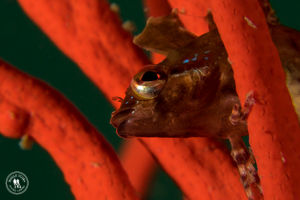 What to look out for: Orange sea fans, seals, cuttlefish, octopus, kolstert fish, red roman and hottentot. 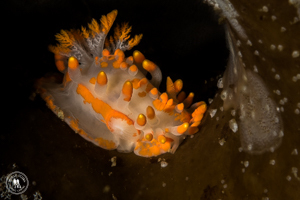 Loads of different types of nudibranchs, including the orange and white and blue and yellow gasflame nudibranch, chocolate chip nudibranchs, cape dorid, orange nudibranch, inkspot nudibranch. 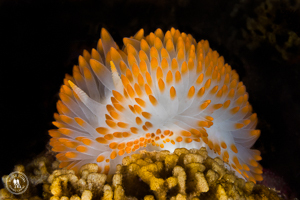 A beautiful and relaxing dive site. 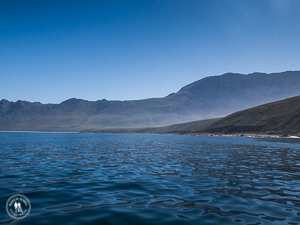 A boat dive close to Blousteen which follows the steep cliff along the coastline just before Rooi Els. What to look out for: Huge boulders and rock walls covered with kelp, enormous orange wall sponges, black stink sponges and crumb of bread sponges. At about 18 metres, there are many huge walls covered with orange and pink noble corals, sinuous sea fans, palmate sea fans and multicoloured sea fans. 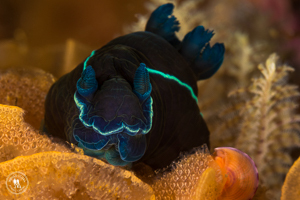 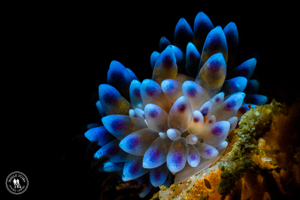 Here we find many different types of nudibranchs – the blue and orange gas flame nudibranchs, black nudibranchs and frilled nudibranchs to name but a few. 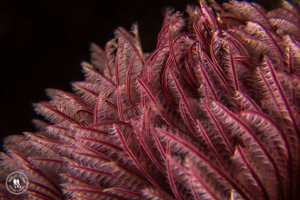 The reefs are teeming with elegant feather stars and toothed feather hydroids. 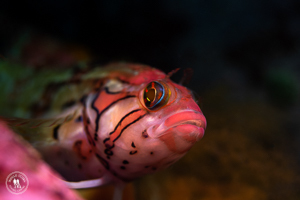 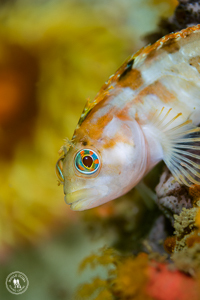 Fish life includes galjoen, red roman, twotone fingerfins and many different types of klipvis. We have also spotted red steenbras here as well as sevengill cowsharks, smooth houndsharks and puffadder shy sharks.